Washington, DC – (RealEstateRama) — The Department of Justice and the U.S. Environmental Protection Agency (EPA) today announced a settlement with Magellan Pipeline Company, L.P., for alleged violations of the Clean Water Act related to gasoline, diesel and jet fuel spills in Texas City, Texas, Nemaha, Neb. and El Dorado, Kan. Magellan has agreed to complete approximately $16 million of injunctive relief across its 11,000-mile pipeline system and pay a $2 million civil penalty. On Feb. 24, 2011, a Magellan owned 18-inch refined petroleum products pipeline ruptured in an area north of Texas City, Texas, and spilled approximately 482 barrels of gasoline. The spill impacted a local watercourse known as Pierre Bayou. On Dec. 10, 2011, two of Magellan’s refined petroleum products pipelines were struck by a third-party who was operating heavy machinery while attempting to clear a hedgerow in an agricultural field near the town of Nemaha, Neb. The strikes resulted in the spilling of approximately 650 barrels of diesel fuel from one line, and approximately 655 barrels of jet fuel and 1,529 barrels of gasoline from the other. The spills impacted a local watercourse know as Jarvis Creek. Cleanup efforts are still underway and will be completed as part of the proposed consent decree. On May 4, 2015, a Magellan owned 10-inch refined petroleum products pipeline ruptured near the City of El Dorado, Kan., and spilled approximately 1,861 barrels of diesel fuel. Diesel fuel form that spill impacted a local watercourse known as Constant Creek. The consent decree requires Magellan to: (1) complete an ongoing spill cleanup effort in Nebraska; (2) institute an enhanced annual training program for its third-party damage prevention staff; (3) update and enhance company information resources concerning selective seam corrosion; (4) update its integrity management plan; and (5) create a publicly-accessible web page that will report information about certain types of pipeline releases and Magellan’s responses to them. The requirement to create a publically-accessible web page directly supports EPA’s Next Generation Compliance efforts to expand transparency. The consent decree is subject to a 30-day public comment period and approval by the federal court. 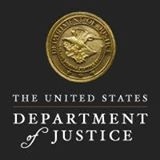 Information on how to comment on the consent decree will be available on the Department of Justice’s website: www.justice.gov/enrd/consent-decrees.